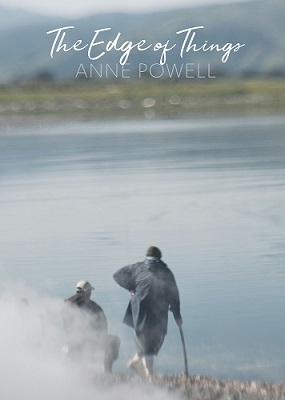 We waited and waited – some more patiently than others – but it’s here; Anne Powell’s 4th volume of poetry, The Edge of Things, published by The Cuba Press in Wellington. This has been a big year for Anne. In March, the King’s Singers and Voices NZ sang three of Anne’s poems, a commissioned work for the International Festival of the Arts, by renowned composer Leonie Holmes, called This Watershed Time. Then, on 1 December 2018, we had the launch of her 4th volume of poetry, a wonderful opportunity for so many of her friends, her family, fellow poets, lovers of her work and her Cenacle community, Kathleen, Mary and Clare, and companions, to join with her in launching the book and celebrating its arrival. There were a number of speakers, including Fr Michael McCabe, parish priest of Anne’s local parish, Te Whaea Tapu o Kapiti, Sarah Bolland of the book’s publishing house, The Cuba Press and poets Trish Harris and Mike Fitzsimons, who read a couple of poems from the book (and in turn had a poem read by Mary from their published work). Before Anne spoke, the book was blessed by two kuia; Marguerite Osborne of Te Whaea Tapu o Kapiti and Shirley Kelland, Cenacle Companion. It was a special moment to be able to share and all heartily sang Te Aroha, led by Clare O’Connor rc. Anne spoke very openly and movingly about her work and gave some insights into the background of one or two of the poems. She then read three poems from the book, one of which, “The Falcon”, was accompanied by Debussy, played by Clare and Ellen Barrett on cello and piano. 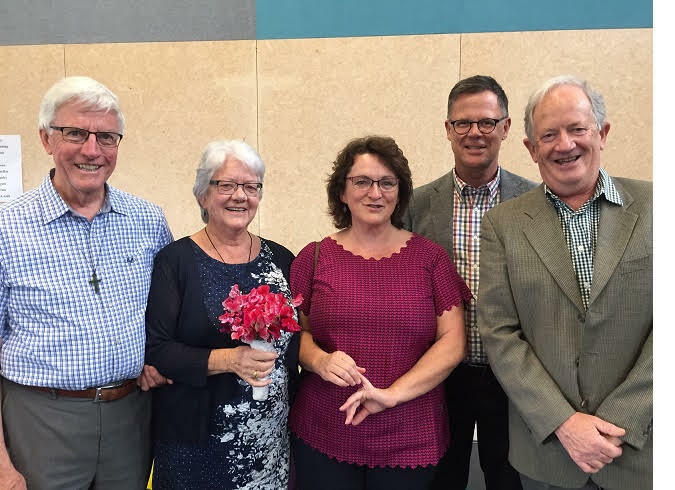 Anne’s family had joined her to celebrate the launch, as well, of course, as her cenacle community, and it was a wonderful time, following the delicious poetry reading, the blessing, the sharing and laughter, to get together with all those who love Anne and her work. Plenty of signed copies were bought but we have copies for sale on this site (just click on the shop tab) – and at Paper Plus in Coastlands, Paraparaumu and from The Cuba Press (https://thecubapress.nz/shop/). Don’t deprive yourself and those you love of this in your lives.